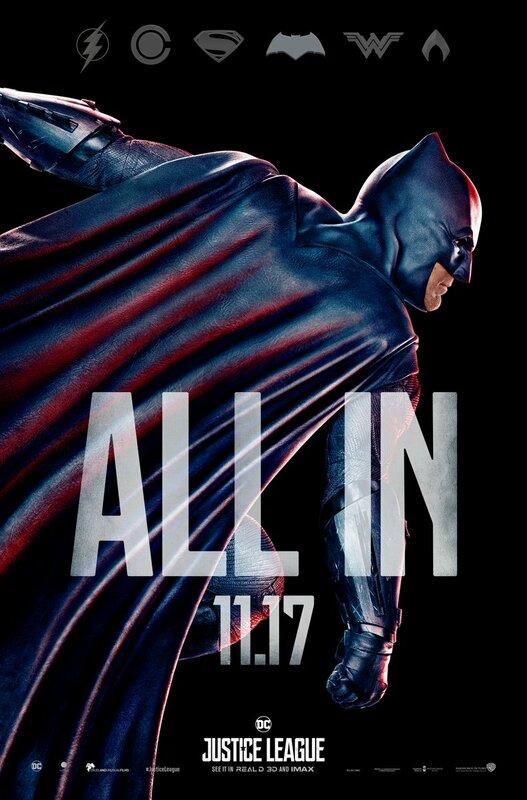 Justice League is only a few weeks away from release. We’ve been waiting for this moment ever since DC and Warner Bros. announced the project in 2014. 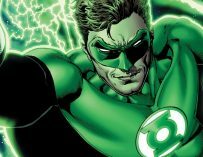 It was originally supposed to be a two part movie, however the higher ups at Warner Bros. decided against that idea, opting to put all their eggs into one Justice League movie basket. 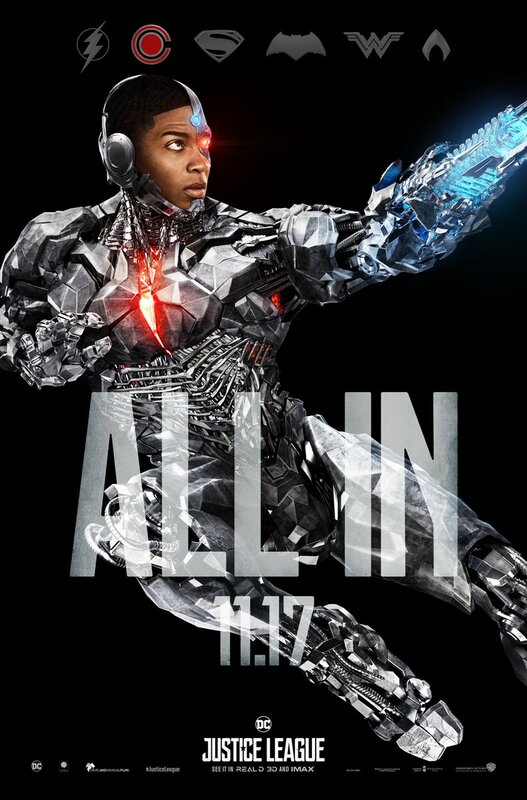 So, for the time being, there will only be one Justice League movie, and Warner Bros.’ marketing people have just released the film’s new character posters. Check them out below. 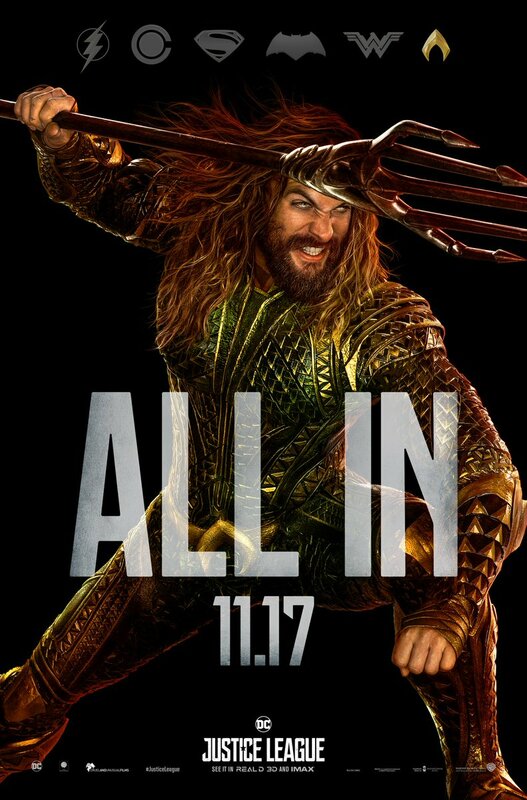 These posters show Ben Affleck’s Batman, Gal Gadot’s Wonder Woman, Ezra Miller’s Flash , Ray Fisher’s Cyborg and Jason Momoa’s Aquaman in all their action pose glory. I have to admit that the film has been marketed extremely well, even if the actual production has been a bit of a nightmare. 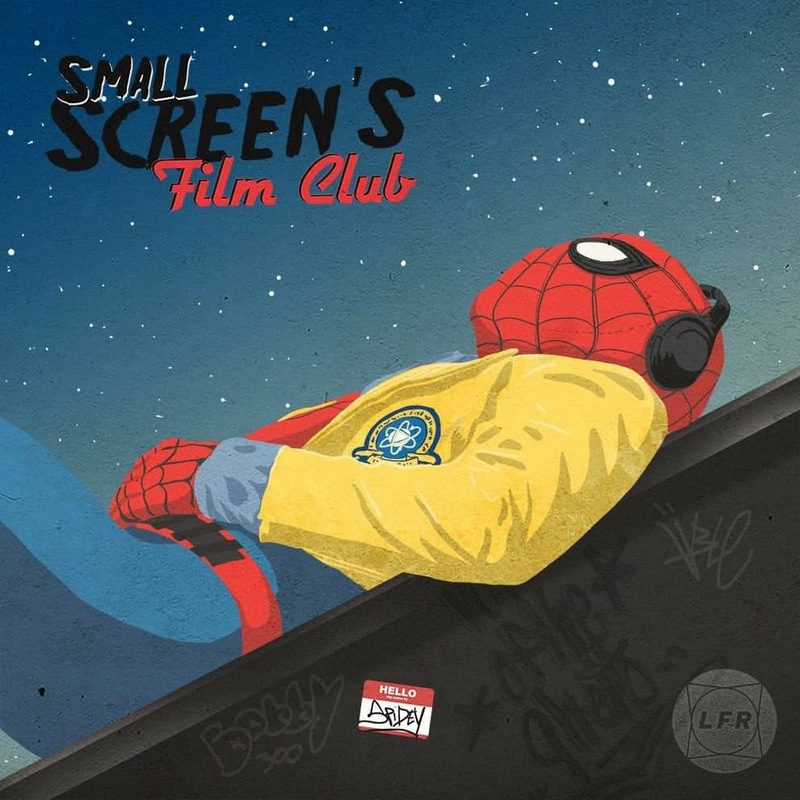 Reshoots, rewrites, Superman’s moustache fiasco… There have been many obstacle’s in the film’s way, yet things are looking slightly better, and hopefully we can expect a solid, if maybe a little overlong, movie. 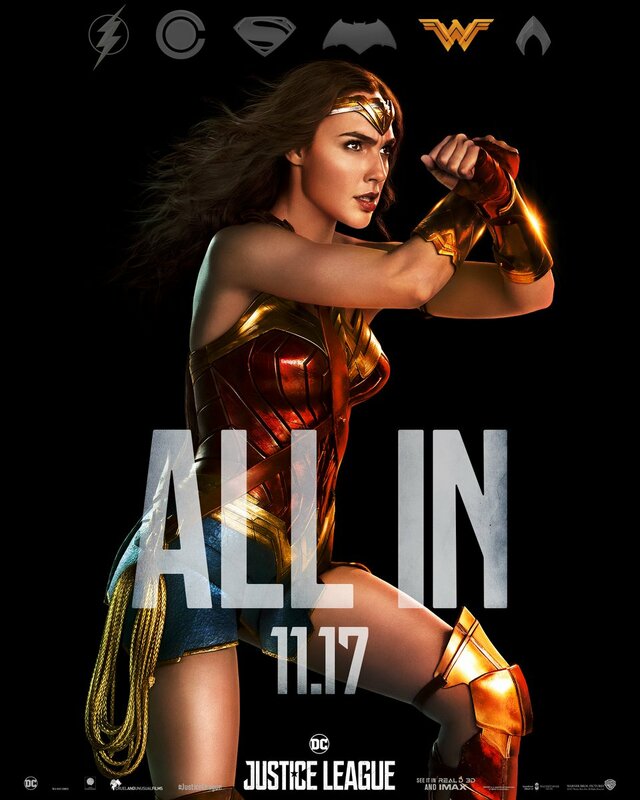 Fresh off of Wonder Woman’s critical and commercial success, DC and Warner Bros. will be hoping to do the same again with Justice League and win over audiences who have been left feeling a little bit dispirited with the whole DC movies schlock of late. 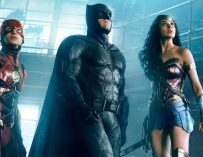 Wonder Woman aside, the DCEU hasn’t been pleasing audiences across the board. 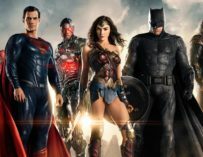 Man of Steel and Batman v Superman has its fans, as does Suicide Squad for some unknown reason, however everyone is in agreement that there are big problems with those movies. Hopefully Wonder Woman and Justice League can turn the tide and we can start really looking forward to what’s to come from the DCEU. 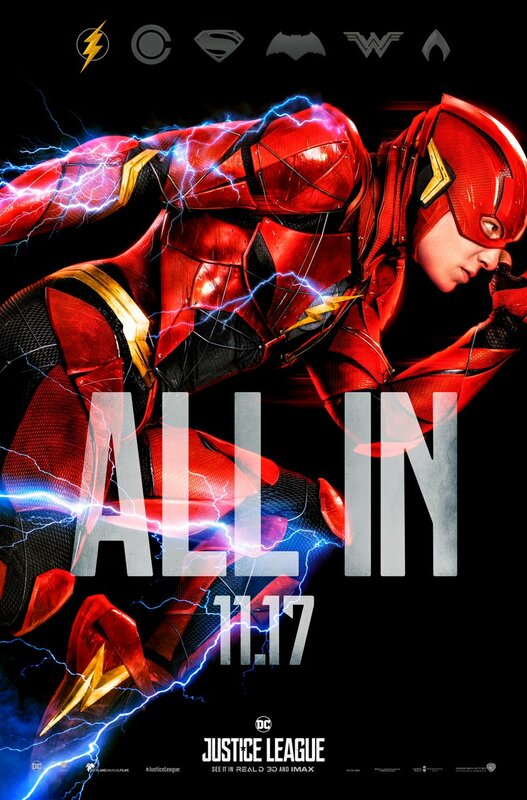 Justice League will be in UK cinemas on November 17th. 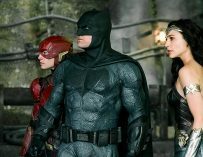 Have a look at our list of the 20 films you have to watch this autumn, in which Justice League makes an appearance.